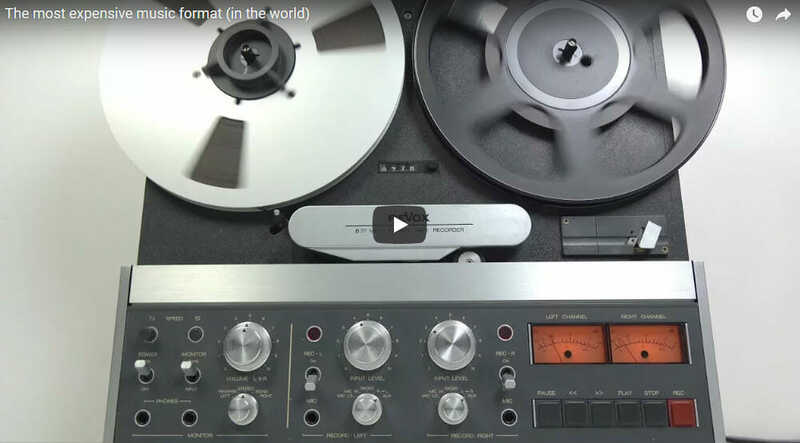 Now that I have your attention, is this, in fact, The most expensive music format in the world? Possibly yes, but probably no because you could theoretically reprint your entire collection of music on wax cylinders and push out the last Edition Music Jam. Seriously though, when are they going to let these older formats die already. Expensive does not always mean better. Sometimes expensive simply means, expense, full stop. But if you are interested in creating some of the most “lush” and “expensive” jams in the world, then a copy of Mr Strange Mirror or maybe something a little faster like Accelerator 6 or even if you really want to slam some beats to a tropical tip, then POPtacular would probably work really well for you. This entry was posted in Music Production, Opinion. Bookmark the permalink.